Since the advent of social media, a lot of less fortunate people have found help after their plight went viral; thus, even though social media does hold its negative aspects, many netizens are still thankful for moments like this when people band together to help those in need. 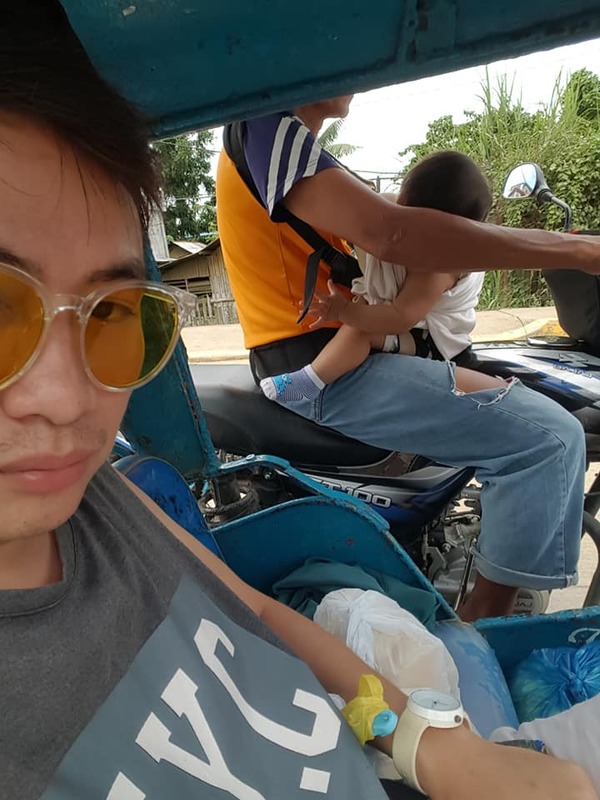 In Pontevedra, Capiz, netizen Mar Errol Buhat Diaconte needed to ride a tricycle when the first one that passed by broke his heart because the driver was carrying a baby in an old carrier. Concerned over the baby’s plight and hoping that the two could find the help they needed, he snapped some pictures and shared these on Facebook; the post understandably went viral. Many netizens were quick to offer help while others tagged TV programs so the father and child can be featured, something that brought help to other less fortunate people in the past. True enough, just days after the post went viral, Mar was approached by a team from ABS-CBN’s Rated K program. The old tricycle driver was identified as 49-year-old Vicente Botante, a single dad to 11-month-old Baby Rayve. But where is the child’s mother and why is Tatay Vicente bringing the kid while driving? Tatay Vicente told Rated K that the child’s mother, Rose (not her real name), left them just weeks after giving birth to the child. According to Tatay Vicente, he became text mates with Rose back when he was working in Manila as construction worker. A co-worker had given him her number, saying Rose was looking for a text mate; she lives in his hometown, Pontevedra. At his age, Tatay Vicente was ready to settle down with the love of his life; thus, he left his job in Manila and went home to Pontevedra where he became a tricycle driver. Rose moved in with him and they soon had a baby. But just weeks after giving birth to Baby Rayve, Rose left. Tatay Vicente was shocked to learn that Rose was actually married and had kids. She left Tatay Vicente when she reconciled with her husband but left the baby, knowing her husband could not accept the child. Rated K staff brought Tatay Vicente and Baby Rayve to the social services office. They were able to find Rose but though she agreed to be interviewed, she didn’t want to show her face. 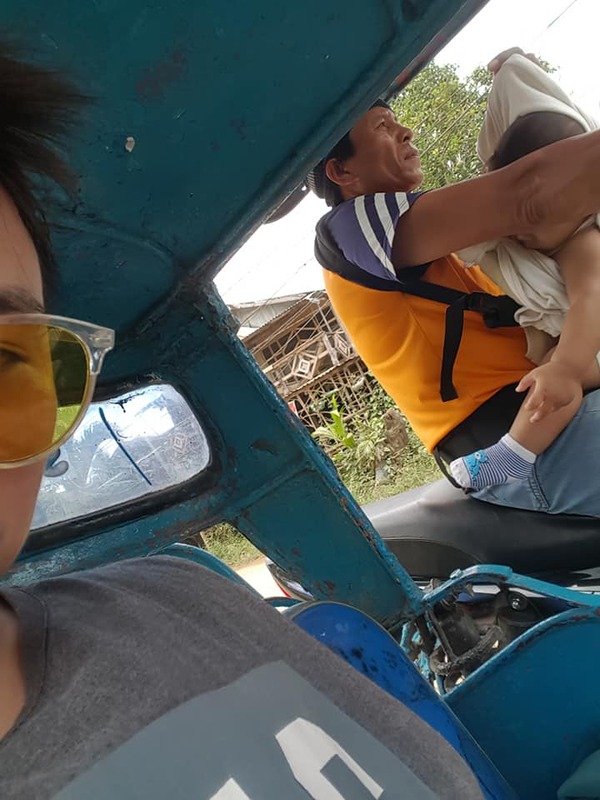 She admitted her fault but had no plans on getting the baby though she felt pity that her child had to suffer while Tatay Vicente brings him along when driving. The social workers promised to help Tatay Vicente by providing him with livelihood that wouldn’t expose Baby Rayve to danger. Aside from giving him a solo parent ID and Philhealth card, the social services office will also help provide a home for Tatay Vicente and Baby Rayve so they can have a safer life together. Though his relationship with Rose didn’t work out and he’s having a very challenging life right now, Tatay Vicente is still thankful of Baby Rayve, his biggest blessing.